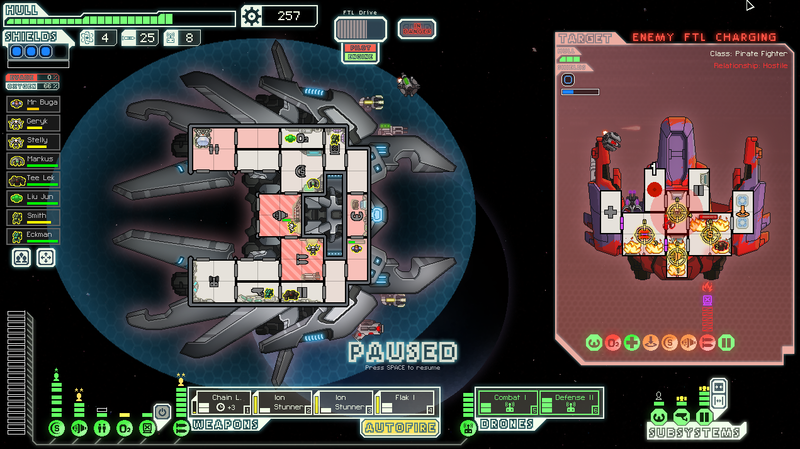 FTL: Faster Than Light is a space role-playing game with roguelike elements developed by Subset Games, in which you are the captain of a spaceship that needs to save the Federation from the Rebellion. It was announced on February 27th, 2012 by Kickstarter and released on September 14th, 2012. The Advanced Edition, a free content patch adding a considerable amount to the original game, was released April 3, 2014. You start with about 3 crew members, picking people as you go (from a variety of races). It caused me a bit of shock when I lost my first crew member. This game, more than any recent one I’ve played, really challenges my values, despite the game being somewhat random and the mechanics being just set of means to an end. I played the game on easy and spent many hours doing so. 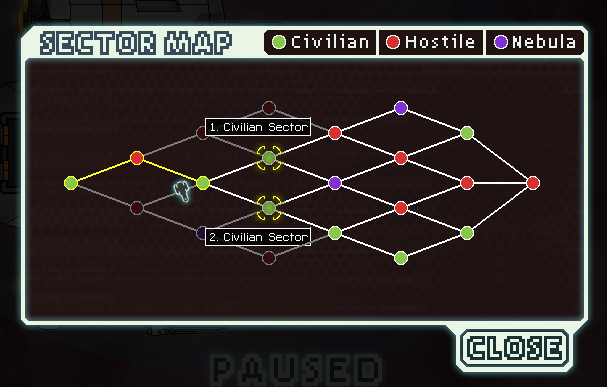 I can’t imagine going beyond normal difficulty. I also kept reference of the dialog trees close by, (mainly) because I really didn’t like losing crew members. There’s often some probability that you might get screwed over by the presented options. The expansion actually made the game more interesting, despite the fact that I stayed in easy-mode. 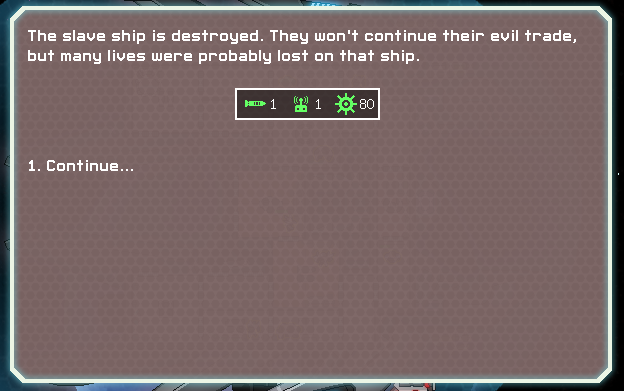 Also, my least favorite ship is the Mantis Cruiser. My favorite ship is… well, I don’t really have one, they distributed the features well across the ships. I had a hard time with the Mantis Cruiser, because I had a hard time using the teleportation feature– didn’t want to lose any of my crew. I’m sure with time (and patience) I could learn to either not sweat the casualties of war or just pause every few seconds to micromanage my team members and ship. 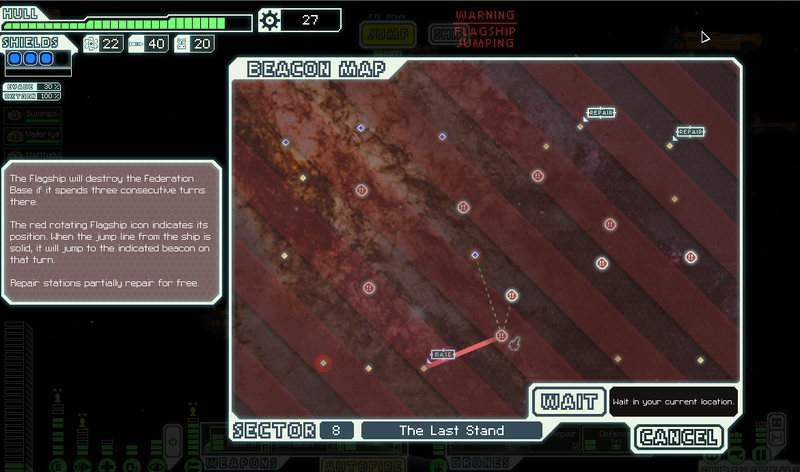 Tags: faster than light, ftl, morality., roguelike. Bookmark the permalink.